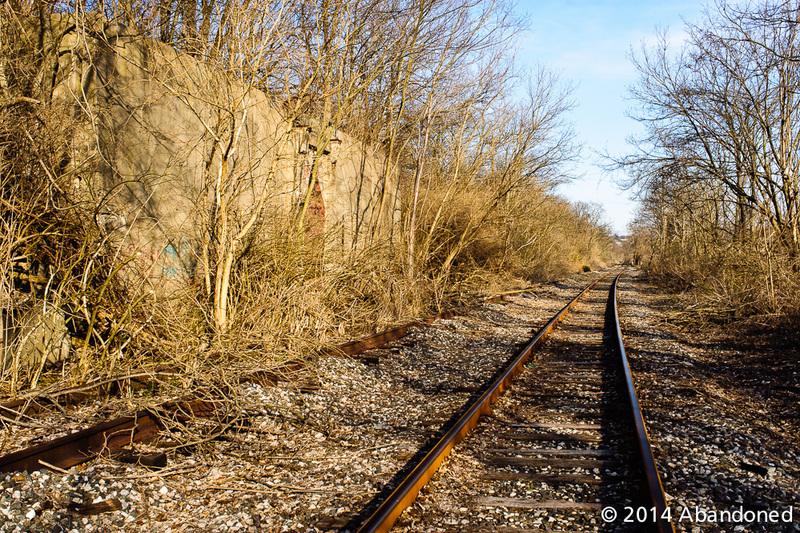 The Little Miami Railroad (LM) is a defunct railroad that connected Cincinnati to Xenia, Ohio. 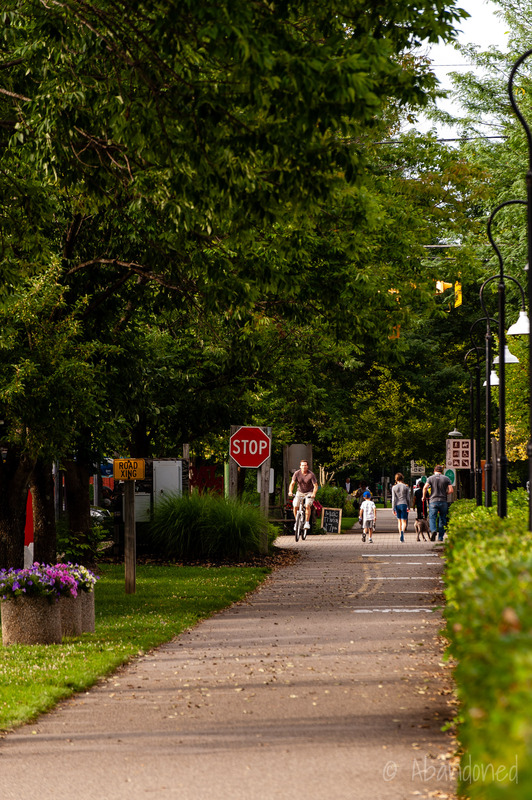 Most of the alignment has been converted into a popular recreational trail. Two meetings to sell stock, the first held at Linton’s Hotel in Waynesville on May 13, 1836, the other in Xenia on June 2, were not successful. 2 Financial aid that was promised by the state was withdrawn due to economic conditions. In a vain attempt to kick-start the railroad, the stockholders held off on receiving dividends until 1848. 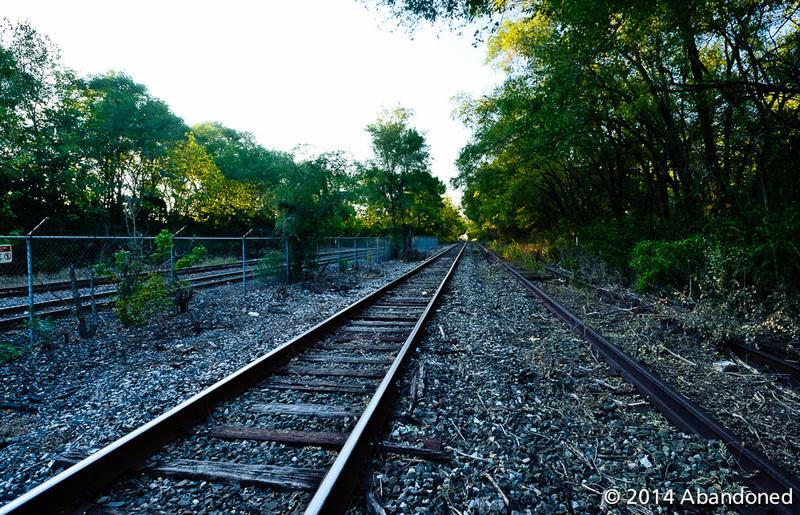 Every penny of earnings would be invested back into the railroad. 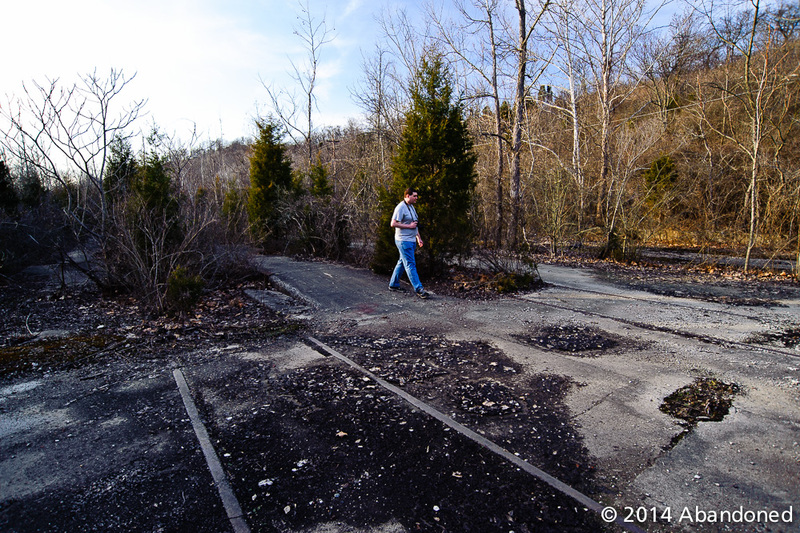 Surveying work was initiated for the line north to Kings Mill, South Lebanon, and Lebanon via the Little Miami and Turtle Creek valleys. 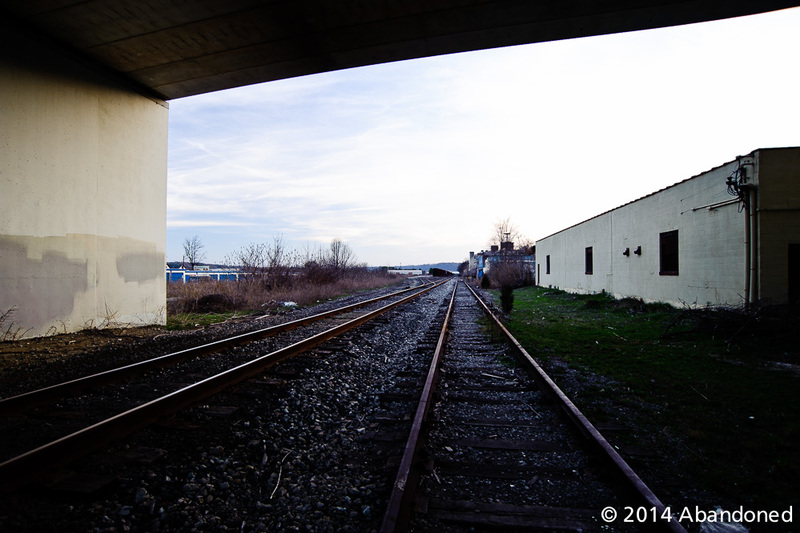 1 The proposed alignment featured a grade of 33 feet per mile and was considered too steep for locomotives. The route was instead shifted to an alignment along the Little Miami to Morrow, Fort Ancient, Oregonia, and Waynesville. 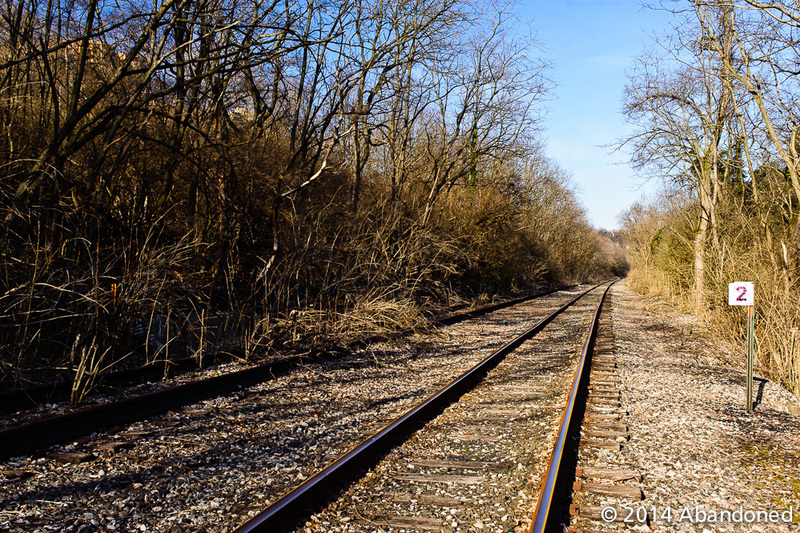 The Hillsboro & Cincinnati Railroad was chartered in 1846 to construct a line between Hillsboro and Loveland, where it would connect with the LM. 1 By 1850, the H&C had completed 37 miles between the two termini. The H&C leased its line in perpetuity to the Marietta and Cincinnati Railroad (M&C), which eventually became the Baltimore & Ohio Railroad’s mainline to the west. The Cincinnati & Muskingum Valley, which had track rights on the LM from Morrow. 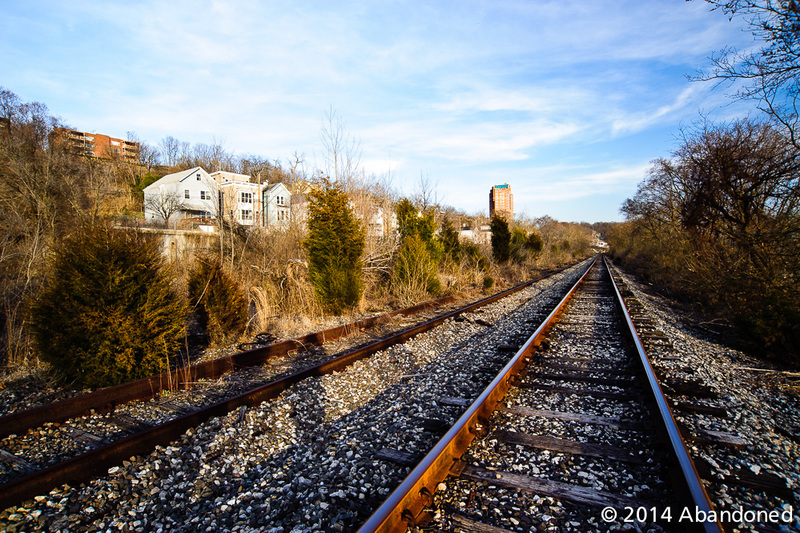 The Louisville & Nashville, particularly for the Short Line that ran northeast from Louisville. It descended the ramp from the Newport & Cincinnati Bridge over the Ohio River and reversed direction to reach the platforms. The PRR Richmond Branch. 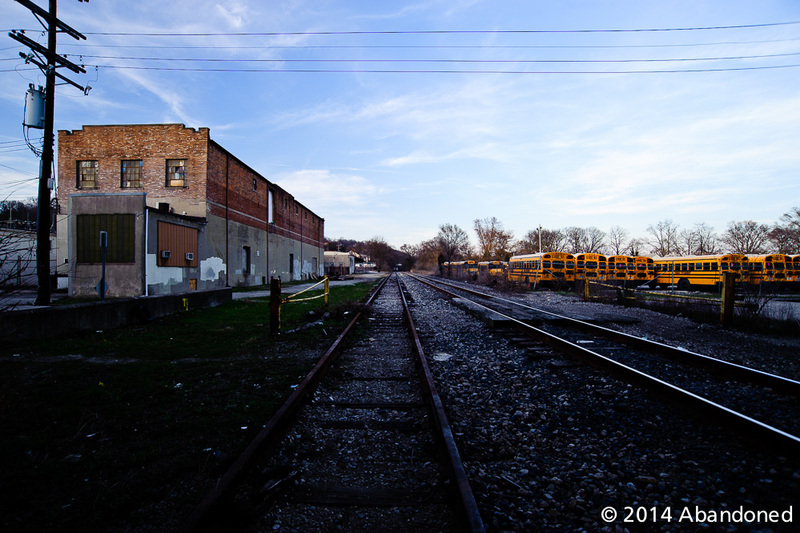 When it was completed to Rendcomb Junction, trains to Chicago began using the depot. The Cincinnati & Eastern, which arrived via Clare and the LM. The LM continued to exist as a separate corporation, although the PRR controlled much of its stock. In 1907, the LM conducted significant expansion projects that included Undercliff yard and the Torrance Road station in Cincinnati. 14 An elevation project in 1916 raised the rail bed to protect against the Ohio River, and platforms were lengthened at the Pearl Street station. The Pearl Street station closed in 1933 when the new Union Terminal was constructed. 14 It was demolished in 1963. 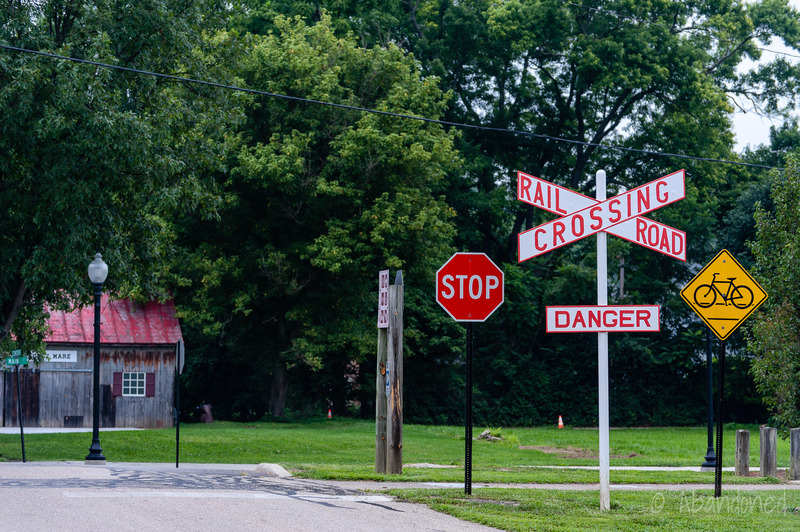 The Xenia to Springfield line was ceded to the Columbus Division of the PRR on September 24, 1939. 14 On November 1, 1955, the PRR Cincinnati Division was abolished and merged with the Buckeye Division and became the Cincinnati & Xenia Branch, Buckeye Division in 1964. The PRR consolidated with the New York Central (NYC) to form the Penn Central (PC) in 1968, with the LM falling under the Cincinnati & Xenia Branch, Cincinnati Division, Southern Region of PC. In early 1967, the PRR ended freight service between Xenia and Yellow Springs due to competition from the trucking industry and looked to abolish through traffic on the LM entirely. 2 There were numerous small towns along the LM, each with full taxing authority, which put the railroad at a disadvantage with trucks. 14 The PRR eyed using the NYC/Big Four alignment from Columbus to Cincinnati as it had modern signaling, low grades, and above floodplains. 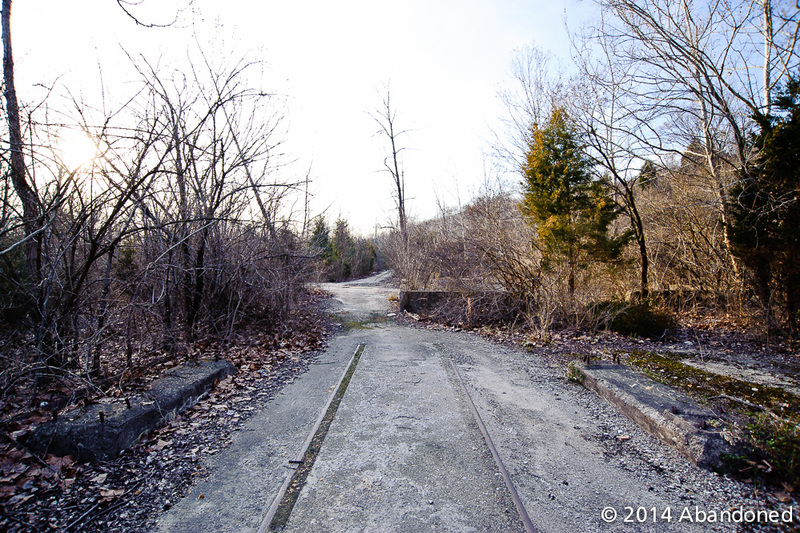 The LM had signaling that dated to 1942 and a right-of-way that periodically flooded. Track signals were turned off between Xenia and Cincinnati in 1974 14 15 and on July 29, 1976, the LM south of Spring Valley was abandoned. 3 The segment from Clare to Red Bank was sold to the Norfolk & Western (N&W) as part of their Richmond Branch purchase. 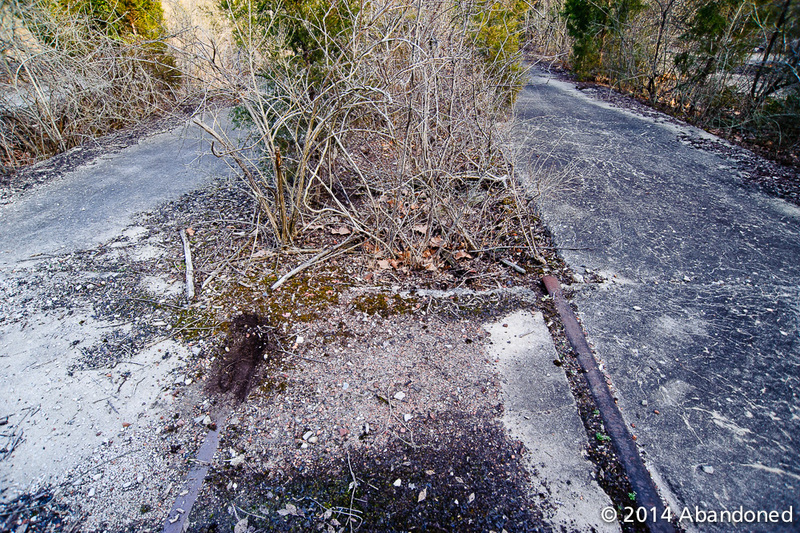 14 The remaining active segments were sold to the Indiana & Ohio Railway (IORY) in 1986. A view of the western end of the line near the Interstate 471 crossing of the Ohio River in Cincinnati. 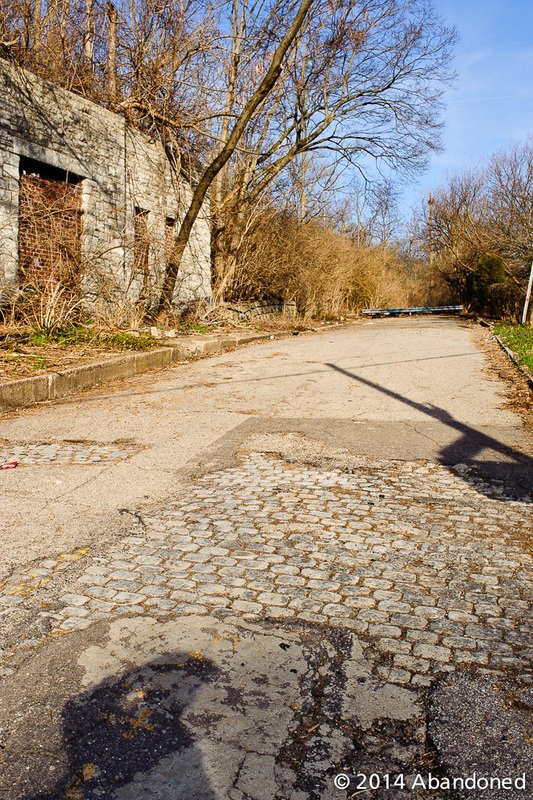 Lancaster Street is actually a sidewalk that connected Eastern Avenue (now Riverside Drive) to Salutaris Avenue at the top. 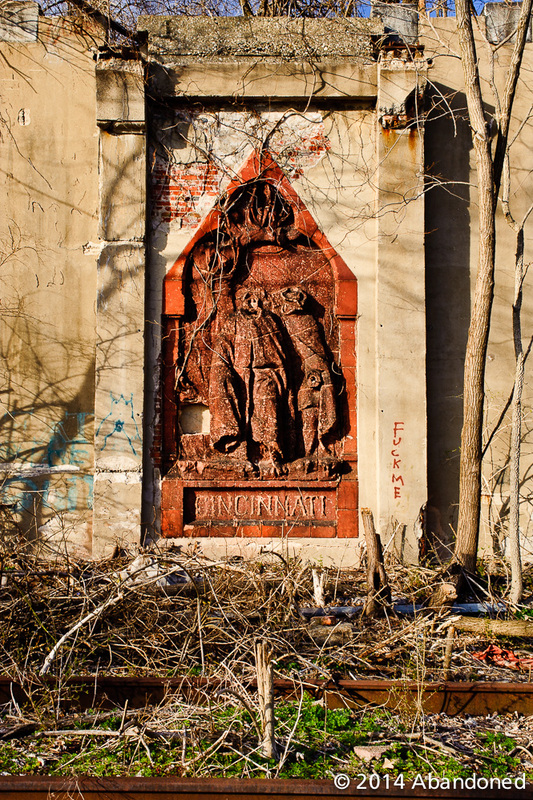 It is severed by Columbia Parkway. It is severed by Columbia Pkwy. 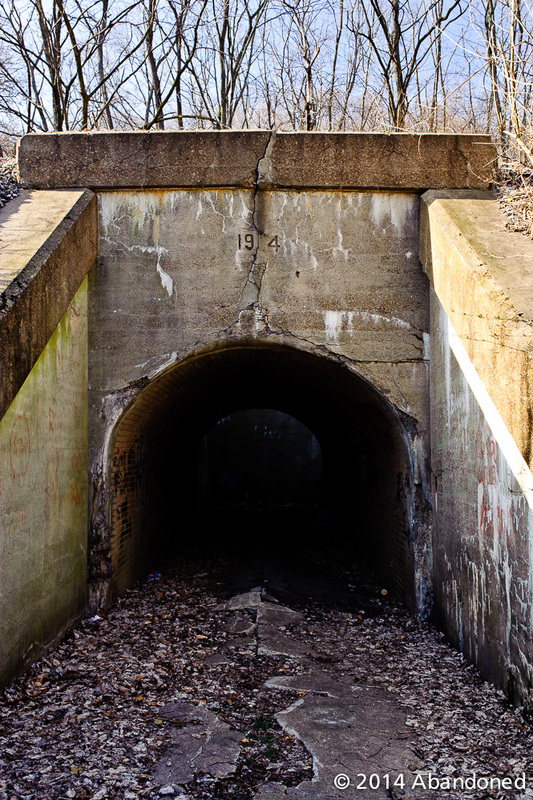 The underpass dates to 1914. 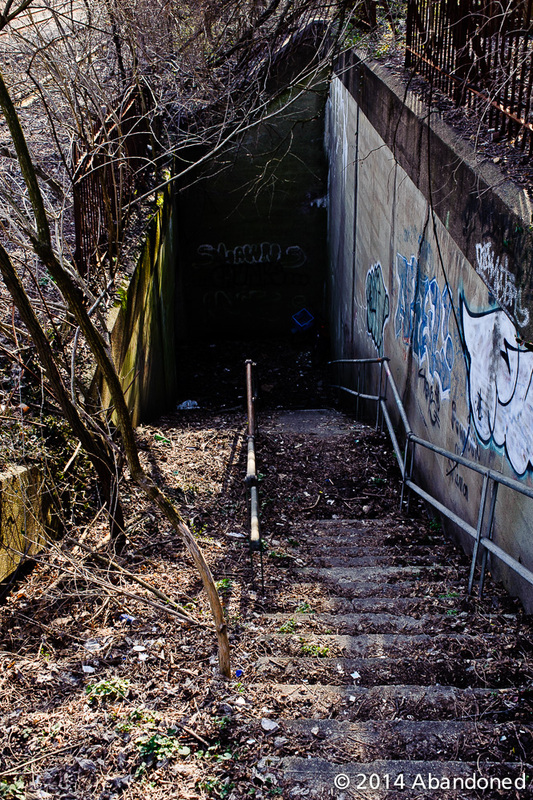 The abandoned Torrence Rd. station at Eastern Avenue. All that remains of the multi-story station and crossover is retaining walls and bricked up structures. All that remains of the multi-story station and crossover is retaining walls and bricked up structures. 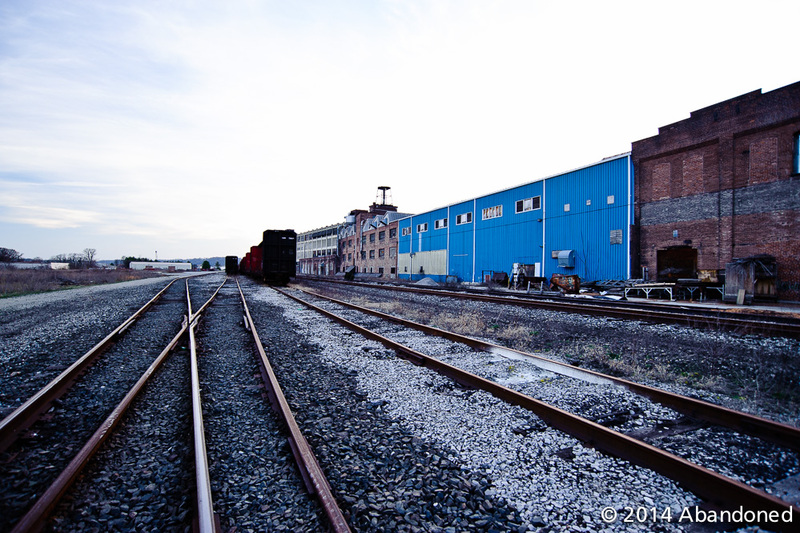 The former Pendleton Yards between St. Andres St. and Delta Ave. 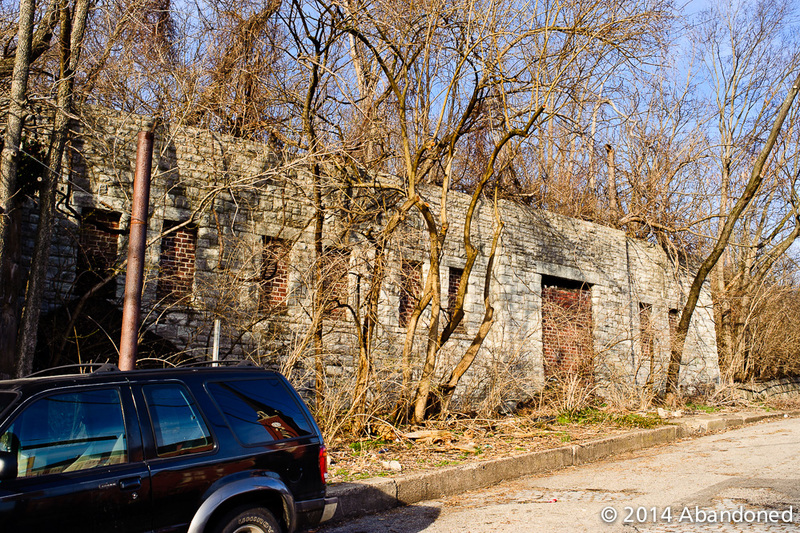 The siding was recently removed that served oil storage tanks at St. Andrews St. and Eastern Ave., now Riverside Dr.
View from Carrel Street in Cincinnati. The CG&P split behind from the Little Miami mainline. View from Carrel Street in Cincinnati. The CG&P split to the right. 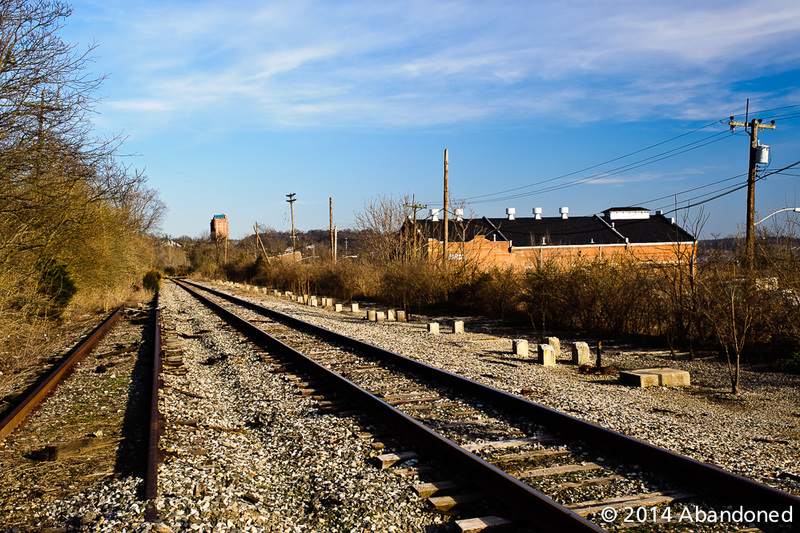 A view of the Little Miami Railroad through Cincinnati. 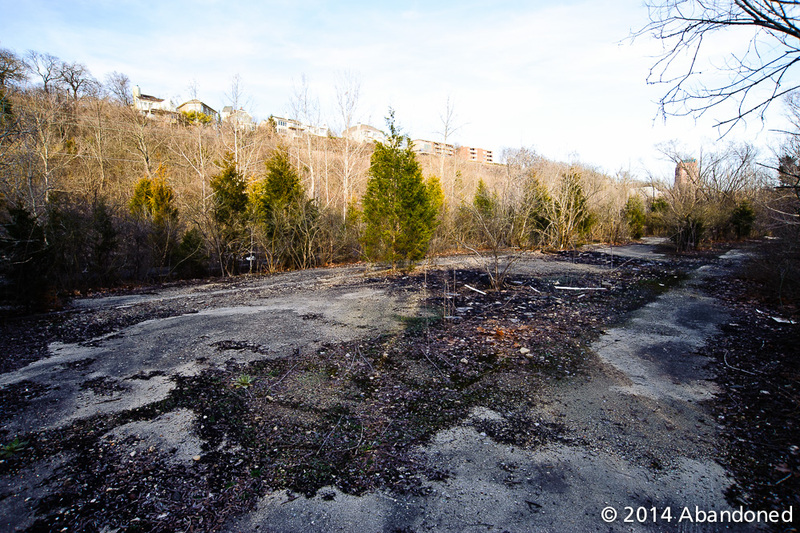 Undercliff Yards near Beechmont Ave. has shrunk in capacity greatly since the route into Kentucky was terminated. 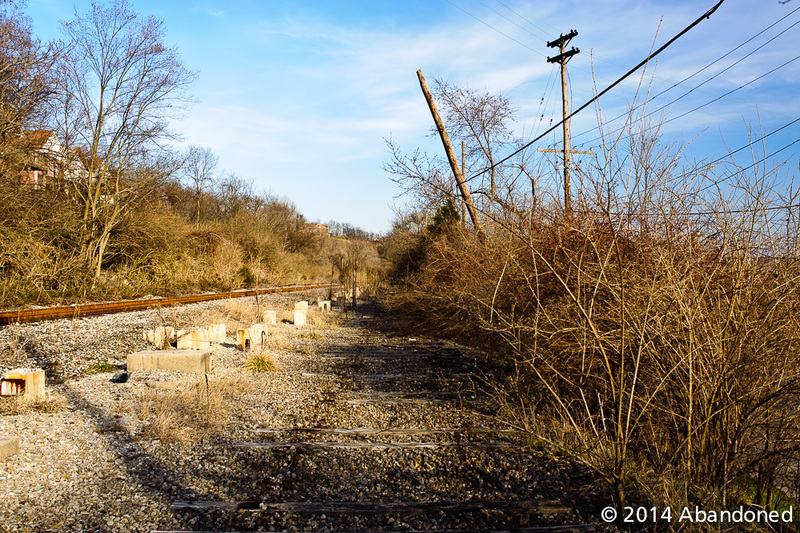 The end of the line for the Little Miami near Wooster Pk. east of Mariemont. 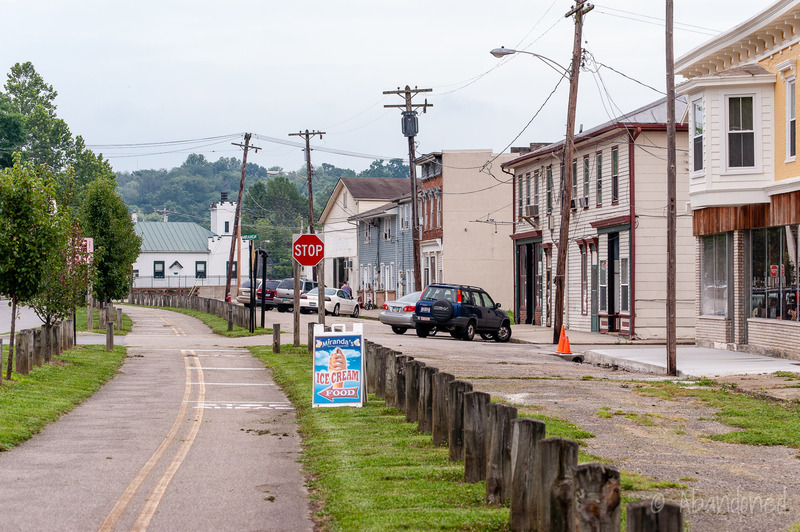 A view of the Little Miami Trail through Loveland. 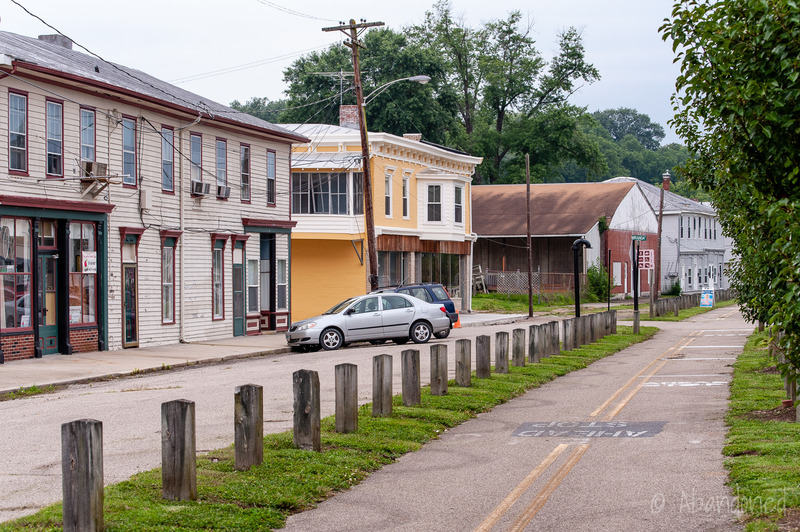 A view of the Little Miami Trail through Morrow. The Cincinnati & Muskingum Valley split to the right. 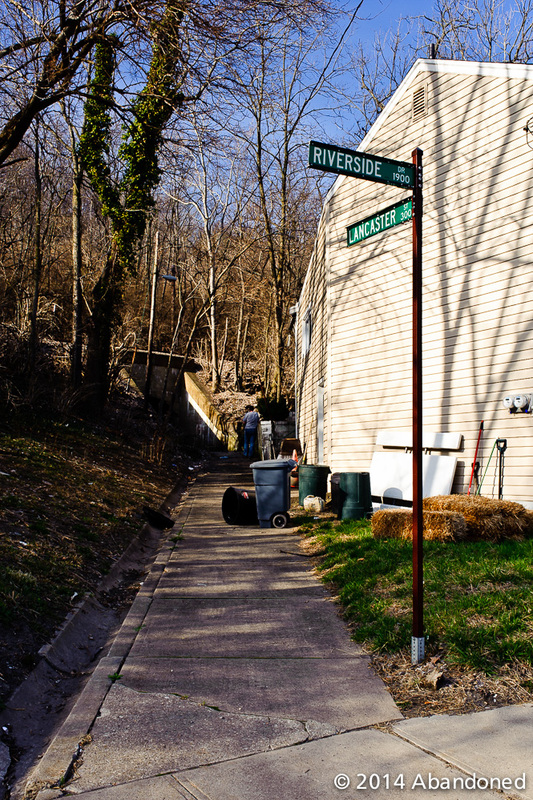 A view of the Little Miami Trail through Morrow. 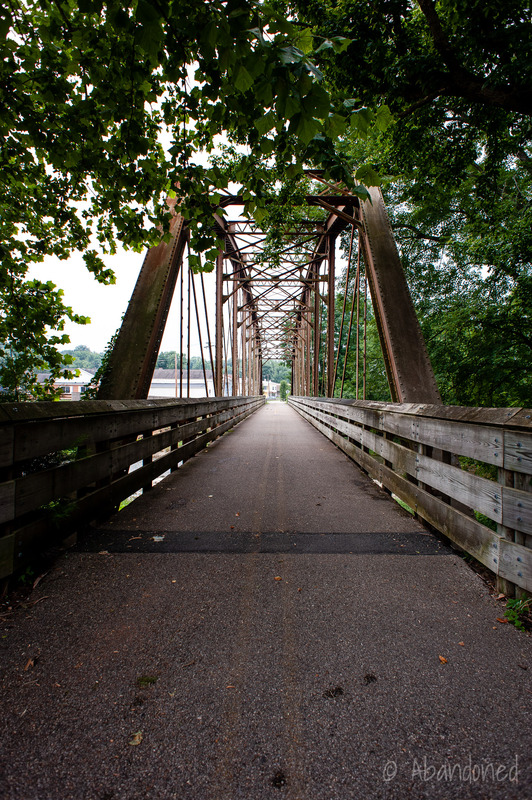 A view of the Todd’s Fork Bridge in Morrow. Black, Robert Lounsbury. The Little Miami Railroad. N.p. : n.p., 1940. Bogan, Dallas. 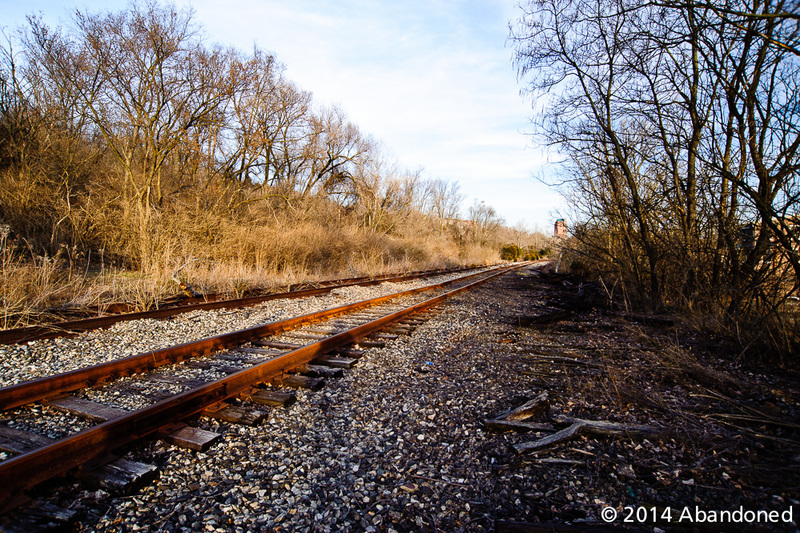 “History Of The Little Miami Railroad.” rootsweb. 4 Oct. 2004. Ancestry. 16 Jan. 2009 Article. Campbell, Karen. 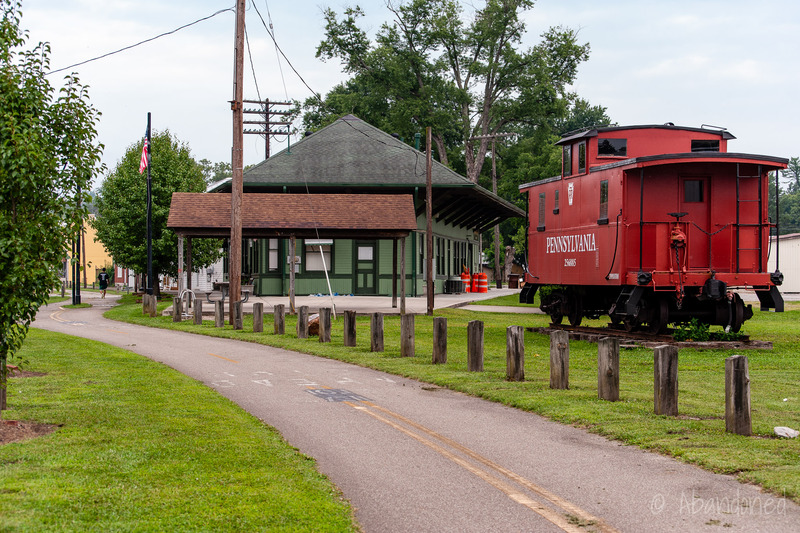 “The Little Miami Railroad ~ One of Ohio’s Earliest Railroads.” Weblog post. 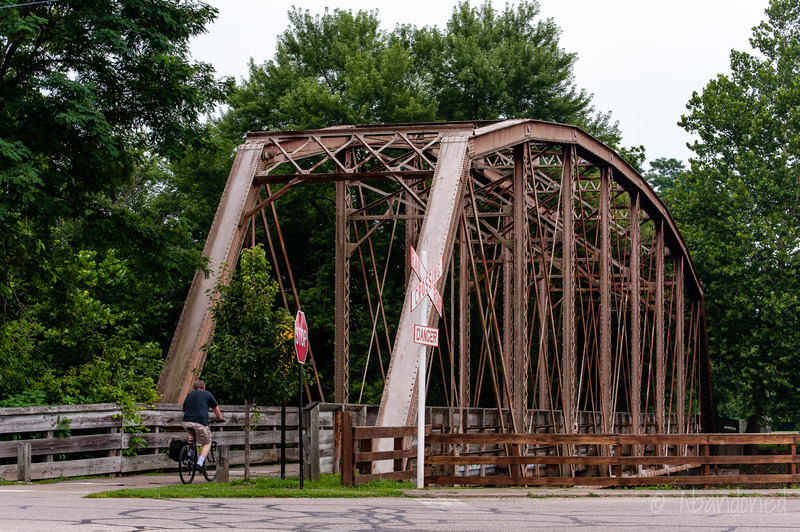 Waynesville, Ohio ~ Connections with the Past. 29 Dec. 2005. 16 Jan. 2009 Article. Recktenwalt, Thomas J. “Lebanon Countryside Trail”. Miami Valley RailTrails 24 Nov. 2008. 16 Jan. 2009 Article. Recktenwalt, Thomas J. 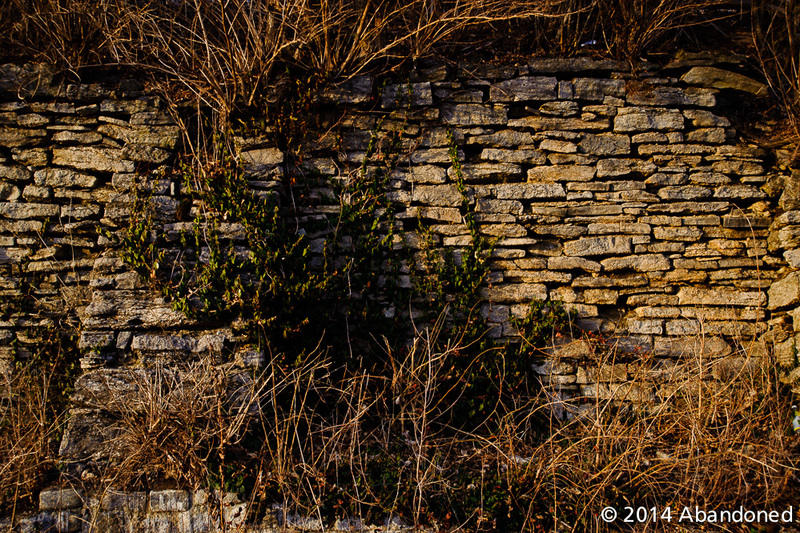 “Little Miami Scenic Trail”. Miami Valley RailTrails 16 Nov. 2008. 16 Jan. 2009 Article. “Little Miami State Park”. Ohio Department of Natural Resources 2008. 16 Jan. 2009 Article. “Little Miami Scenic Trail Through Terrace Park Now Open Full Time.” Ohio Department of Natural Resources 25 August 2006. 16 Jan. 2009 Article. “Amendment and Addition to the City of Loveland Downtown Historic Redevelopment Plan.” Historic Downtown Loveland Request For Proposals. 29 Sept. 2004. City of Loveland. 16 Jan. 2009 Document. “Trails”. National Trail Parks And Recreation District 19 Sept. 2008. 16 Jan. 2009 Article. “Governor Taft Cuts Ribbon on Little Miami Scenic Trail Extension in Hamilton County.” Ohio Department of Natural Resources 10 June 2006. 16 Jan. 2009 Article. Edwards, Jennifer. “Trail’s happy median sought.” Cincinnati Enquirer 1 March 2004. 16 Jan. 2009 Article. White, John H., Jr. “The Steam Railroad Comes to Cincinnati.” On The Right Track: Some Historic Cincinnati Railroads. Cincinnati: Merten Printing, 2003. 16-27. 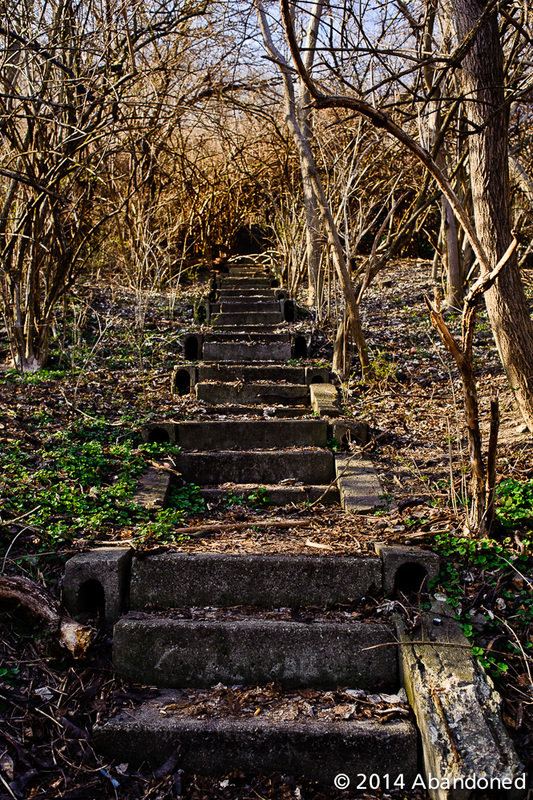 I am trying to find some of these locations for a photoshoot. These locations are amazing. I believe you are incorrect in stating that passenger service over the LMRR route ended not long after WWII. Didn’t the PRR’s Cincinnati Limited run along the old LMRR through the Little Miami River valley down through Corwin, Morrow, Loveland, Terrace Park and Norwood into Union Terminal? My grandparents used to take that train from Newark, NJ to Cincinnati at least until the mid-1960’s. We still have 8mm film footage of them getting off the train at the PRR station in Norwood. Could it have been trackage rights? I think the LMRR ended passenger service shortly after WWII, but it could have allowed other lines, like the PRR, to run on its tracks. I believe Cincinnati sections (coach and sleeper) of both the Penn-Texas and the Spirit of St Louis ran down the LM until shortly after the PC merger in 1968.